Vedic Astrology is a most profound and ancient system of astrology based on the timeless wisdom of the ancient rishis, seers and Vedic texts of India. In fact, Vedic Astrology has always been a central part of Indian society and culture, where it is regarded as a divine and sacred science. Your Vedic birth chart is a reflection of your soul’s destiny in this lifetime, and reveals the unique relationship between your life and the Universe, your connection with the Cosmos, and your dharma. Vedic Astrology is thus a unique tool for Self-realisation! Steve has been studying Yoga and Vedic Science since 1985, and has been practising Vedic Astrology professionally since 2000. He is a Certified Jaimini Scholar, and has studied for many years with his Jyotish Guru, Pandit Sanjay Rath. 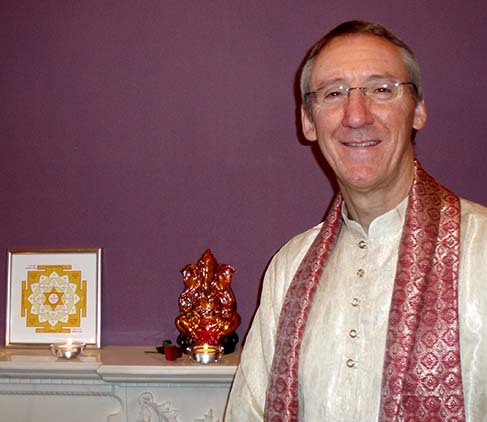 Steve offers a full professional astrological consultation and yagya service, and he is the UK Director for Dirah Academy International offering courses in Vedic Astrology. For further information on Vedic Astrology courses & consultations please telephone: +44 (0)1228 674 225 or click here to email. 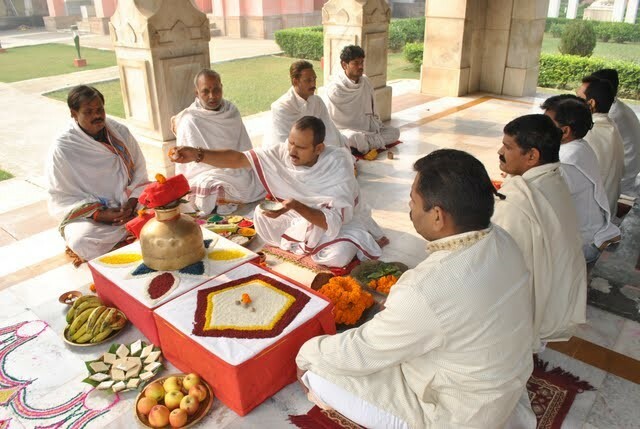 I am pleased to be able to offer clients traditional Vedic Yagyas, organised by Puja.net, in India. I have visited these facilities in Varanasi and Kanchipuram to participate in the yagyas, and the results I have seen from several clients are very promising indeed. I am the UK Director for Dirah Academy International, and offer beginner and advanced correspondence email courses in Vedic Astrology, in which you learn the subject by studying your own horoscope in the comfort of your own home. I offer a range of personal consultations, including natal chart analysis (health, relationships, career, finances, personal strengths and challenges, spiritual growth and future trends), relationship compatibility, muhurta, and astrological counselling.